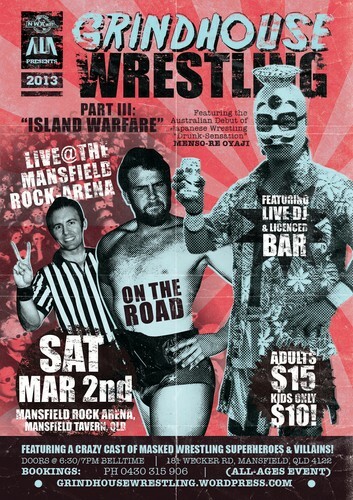 Our rocking debut at Mansfield Rock Arena will feature the highly anticipated Australian debut of the masked Japanese Comedy-Wrestling sensation, Menso-Re Oyaji! Our usual crazy cast of misfit-fan favourites like the Maori-Terminator, Super-Cyclone, Australian Wolverine, Combat Wombat, The Underwater Alliance & many more will be in action! 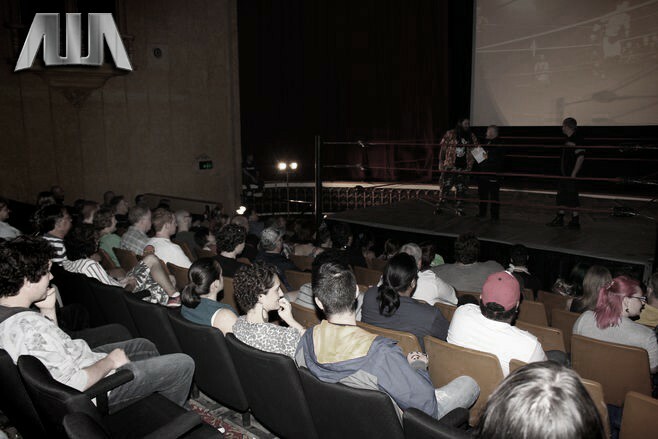 Grindhouse Wrestling is more than just a wrestling show, it’s an experience. Featuring a unique combination of big-screen theatrics, a crazy cast of masked wrestling superheroes & villains, live DJ & licensed bar, our Rock-Arena debut will be an all-ages event not to be missed! Reserve your tickets now, don't miss out!